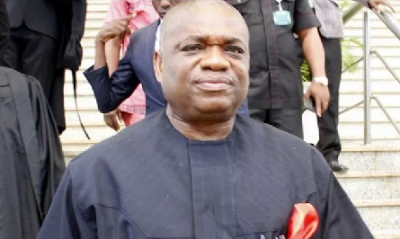 Kalu distance self from campaign posters, says no presidential ambition for me in 2019 – Royal Times of Nigeria. In a statement issued in Abuja on Wednesday and signed by his Special Adviser, Kunle Oyewumi, Kalu insists that he is solidly behind the candidature of President Muhammadu Buhari, if he so desires to run in 2019, adding that the North should be allowed to complete their eight years tenure. Kalu said, “after a two-week business trip to China, to my surprise on my way from Nnamdi Azikwe International Airport, Abuja, this morning, I sighted the malicious posters in my name with the caption: ‘Kalu for President. “I will contest in 2019 by the grace of God but definitely not for President”,.